When spouses in New York address the concept of divorce, they must begin coming to terms, with their divorce lawyers, on a range of different issues that are often highly complex. Besides determining who will be awarded with spousal maintenance, and whether child custody and visitation concerns need to be managed, many spouses must also think about the equitable distribution of marital property. Equitable distribution refers to the "fair" distribution of marital assets, which can include the marital home. Often, court orders that are used to grant divorce, or divorce agreements will include provisions used for the dissolving of the marital home. In some circumstances, the sale of a home may not be practical or possible at the same time as the divorce for a host of reasons. Mr. Darren M. Shapiro, a New York divorce attorney, can help you to consider the complications of family law, including divorce and equitable distribution. For clients with concerns about the marital home, he can also help you to answer the question of what may happen when a home must be sold following the divorce. For instance, this may include determining whether the person who pays the mortgage for the marital home should be given credit for the full amount of the payments they make for the house, or whether they may need to be given another amount. 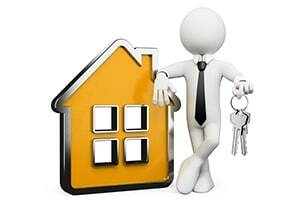 Additionally, matters will need to be addressed regarding the person who is waiting to receive their share of the proceeds for the sale, and whether those people should receive some manner of interest or share in any increase in value of the property or otherwise. According to Section 236(B)(5)(a) of the Domestic Relations Law of New York, the court is required to resolve any and all issues regarding equitable distribution of marital property before the entry of a final judgment for divorce. This is the case except for during issues wherein the parties have already entered into agreements before the divorce takes place, or during the divorce. Postponing the process of selling the marital residence will require some careful planning to try make sure that both parties can avoid returning to court. Additionally, the court is unlikely to approve the future sale of any home without the agreement of both parties that can be negotiated with each divorce lawyer. If there is no agreement to delay, often the court might order an immediate sale. Alongside that agreement made with the divorce attorneys, a plan for either selling or disposing of the marital property should be provided. As Mr. Shapiro can explain to his clients during the process of dealing with their personal circumstances of divorce, spouses can access a range of different options when it comes to postponing a sale. For instance, one spouse might choose to completely buy out the other spouse's share of the marital interest. In this case, the buy-out might be completed either in cash or using a promissory note. The arrangement that takes place, along with most other forms of postponement in court cases, can obviously create a few potential problems with the lender in a mortgage. Simply put, any sale postponed means that one spouse will be required to continue making payments for the mortgage, while the other spouse will remain liable for any missed or late payments if they are still on the note and mortgage. One crucial factor to remember in divorce cases is that the court of New York is not permitted to bind the mortgage company involved with the spouses to a divorce decree, because the mortgage company itself is not a party within the case. At best, a court's order regarding payment of mortgage in a divorce decree gives a single spouse the right to enforce the payments of another spouse’s obligation. In other words the parties can go after each other for not living up to the agreement. If both spouses signed for the mortgage at the beginning of the agreement, the bank will have a contract that states that both parties are responsible for payments, which the court will not have any power to alter or change. Importantly, as Mr. Shapiro can help his clients to understand during the divorce, the payment of a mortgage by one ex-spouse increases the total amount of equity. This means that the spouse paying the mortgage may be entitled to an offset within the financial accounting. In the case of Patete v. Rodriquez 97 NYS2d 109 (2nd Dept. 2013), for instance, the appellate court of New York granted separate property credit for the marital residence purchase. Additionally, in Belkhir v. Armand-Belkhir, 988 NYS2d 746 (4th Dept. 2014), another court found that a reimbursement of 50% of the payment amount is required when one of the parties pays the share for the other party in terms of marital debt, such as mortgage payments. Importantly, in these cases, each side has rights. One court found a "wasteful dissipation of assets" for the delayed sale of the marital home during a case known as Renck v. Renck, 17 NYS3d (2nd Dept. 2015) Though caselaw doesn't specifically state that the spouse vacating the marital residence should be given entitlement to interest on their share of the equity within the home, divorce attorneys may negotiate or argue this point with the other divorce lawyer. To learn more about what Mr. Darren M. Shapiro can do to help you move through the various complications of your own divorce, please feel free to contact him directly at your earliest convenience. You can get in touch with Mr. Shapiro's office to schedule your free, initial half-hour consultation either using our online forms, or call on 516-333-6555.